Another relatively quiet day in the world of travel rewards for Canadians! 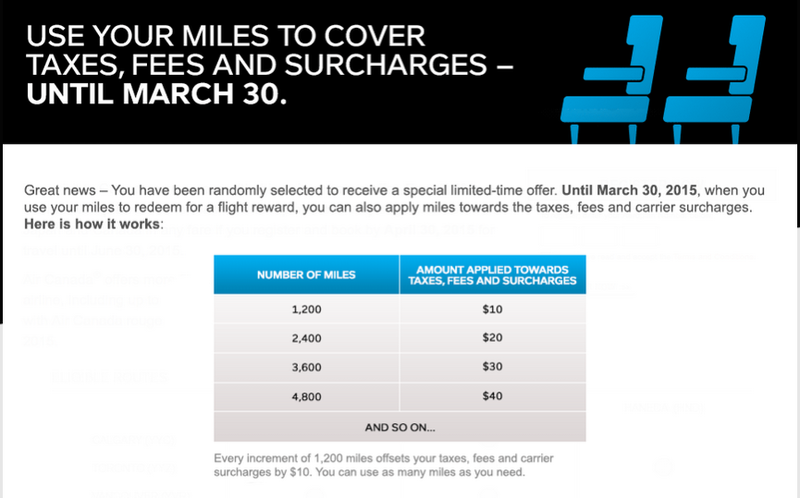 Aeroplan is running a targeted offer where you can use your Aeroplan miles to pay for the taxes and fees on Aeroplan award tickets. To see if you are targeted log in to your Aeroplan account and click on use your miles to see if the banner pops up. You then have to call Aeroplan to book your award tickets if you do want to take advantage of this offer and if you, Aeroplan will waive the $30 fee for booking award tickets over the phone. The rate for redemption is 1,200 Aeroplan Miles to cover $10, which isn't a very good redemption rate but if you are sitting on lots of miles that you don't know what you'll use them for then at least you have this option. 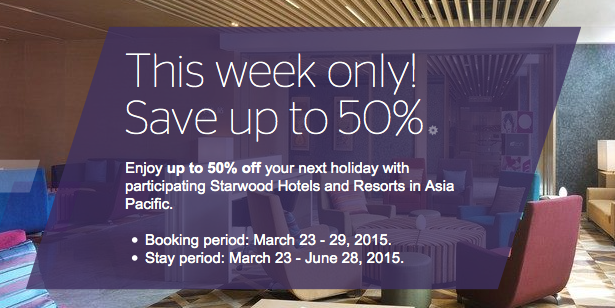 Starwood Hotels is offering up to 50% off stays at participating Starwood Hotels and Resorts in Asia Pacific. Book by Mar 29 for stays until Jun 28, 15. Find out more and book here. 1,000 Free Club Carlson Gold Points via Twitter!